Located on the hill of eastern Kyoto, Kiyomizu-dera (pure water temple) temple is one of the most popular temples in Kyoto and one of the World Heritage Sites since 1994. It was founded in 780 and remains associated with the Hosso sect, one of the oldest sects within Japanese Buddhism. 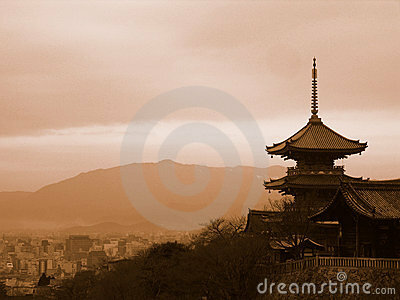 This three stories pagoda belonging to the temple and overlooking Kyoto is one of the most representative image of Japan.